Recently i tried to play gundam rengou vs zaft II. At the beginning the screen looks good, but when i go to the PLUS and challenge mode, the screen won't show anything, but the game is still running. 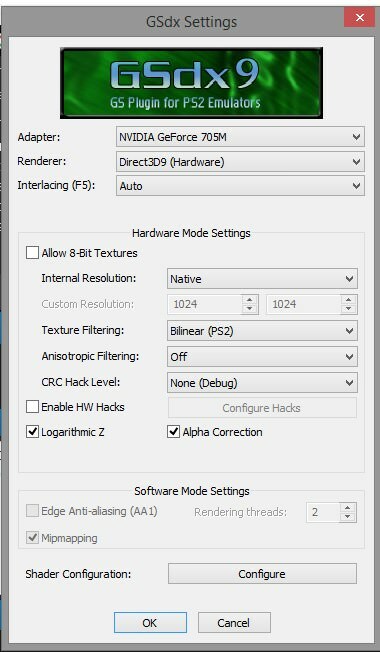 What PCSX2 version are you using, and can you post your GSdx settings please. (01-29-2018, 06:39 AM)CK1 Wrote: What PCSX2 version are you using, and can you post your GSdx settings please. Download the latest dev build and switch to the OpenGL renderer.